Stretching over 21,000 kilometers, "The Great Trail" holds the distinction of world's longest recreational trail; that's right world, ours is bigger than yours. While the trail is not yet fully connected (goal is to complete the trail this year for Canada 150), it will one day connect Atlantic to Pacific and stretch from Vancouver Island to St. John's Newfoundland. It also reaches up to one of Canada's more northern continental regions in the Northwest Territories. The trail is also multi-use, with sections for hiking, biking, paddling, snowmobiling, horseback riding and cross-country skiing. 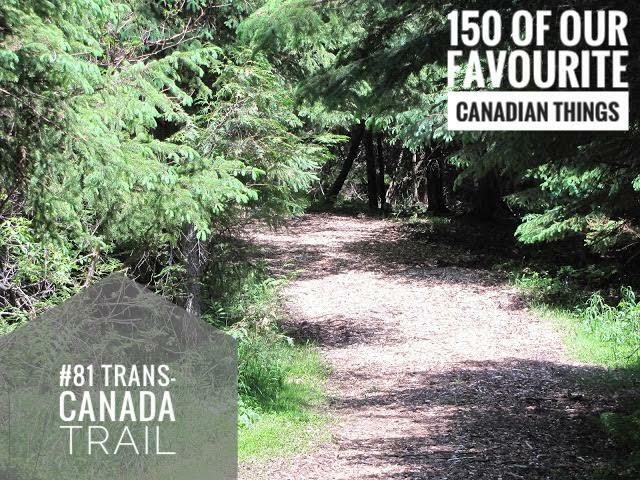 The trail winds through urban, rural and utter wilderness areas, truly representing all of Canada. The trail is a symbol of Canadian cooperation, with over 400 community trails being managed by numerous community trail groups, municipal governments and conservation authorities. Though it is true that much of the trail runs next to highways, it is nonetheless a statement of Canadian commitment to outdoor recreation, adventure and fun to have created such a monumental trail.